In his 1900 book Democracy and Empire, American sociologist Franklin Henry Giddings laid down a theory about how societies evolve and how their moral ideals are, in turn, developed. According to Giddings, during societal evolution, societies give birth to certain types of character, which are in keeping with the particular times and the specific needs and requirements of that society. Such characters primarily evolve as leaders of that society and their character can later serve as a role model for the general people and masses to follow. In Giddings’ view, the valiant type of character evolved in primitive societies and was marked by his physical strength. It originated in societies that went through the initial struggle for existence in order to establish and secure themselves. The convivial type was, according to Giddings, the second type of character society gave birth to, after having survived and averted primitive and immediate dangers and threats to existence. This type thus represented a character which indulged in the pleasures of life, a character marked by the traits of liberality, generosity and good fellowship. The excesses, and recklessness, of the previous two types create a reaction that leads to the emergence of a third type of character, the austere type. This is a type of character that holds up the ideal of self control, and is dominated by a more serious view of life. Allama Muhammad Iqbal, in his paper, The Muslim Community – A Sociological Study, endorsed Giddings’ views pertaining to the evolution of societies and nations, as well as the character types that naturally originate in societies at different times. Iqbal, however, took Giddings’ theory a step further by relating it to the gradual evolution of the Indian Muslim Community, and to the real-life characters that originated within the community at different time periods according to societal and community needs. So what exactly is this “Muslim type of character” that Iqbal speaks of? What should be the personality traits and qualities of such an individual? The person of Aurangzeb, however, only served as an initiation of the evolutionary process of this particular type of character. Iqbal saw Aurangzeb as the pioneer of Indian Muslim Nationalism, and he also felt that the desire for the continuation of the evolution of this character type was very strong in society. However, Muslim society still had a long way to go, and throughout the years and decades and centuries, this “Muslim” type of character continued to evolve and flourish, until it reached perfection in one man – Muhammad Ali Jinnah. In light of Iqbal’s views on it would be quite safe to say that the Muslim type of character culminated in the personality of the man acknowledged as the greatest leader of the Muslims of South Asia. Quaid e Azam was perhaps the only man, the only leader, amongst the Indian Muslim Nation who most accurately fits the definition of Iqbal’s ideal, whose strength of character proved him to be the only man who actually managed to bring the British to their knees and forced them to yield to the partition of India and formation of Pakistan – merely through the force of his well balanced, logical mind, and the underlying confidence of a flawless character. This is all the luggage for the leader of the Caravan! 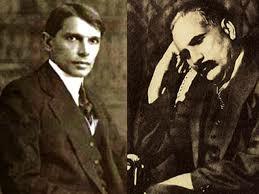 It is thus within the character of Muhammad Ali Jinnah – named after two of the greatest, most beloved and most sanctified personalities of Islam – that lies the example for Muslim/Pakistani youth – the type of character that needs to be instilled within Pakistani youth in order to truly make Pakistan the ideal state envisioned by Quaid and Iqbal.